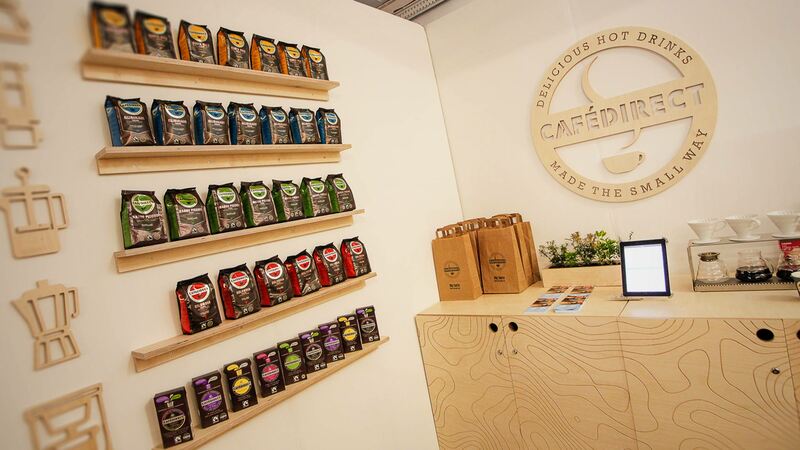 The Liqui exhibition designers knew exactly what was required of the Cafedirect trade stand having worked on a number of projects with the company before. 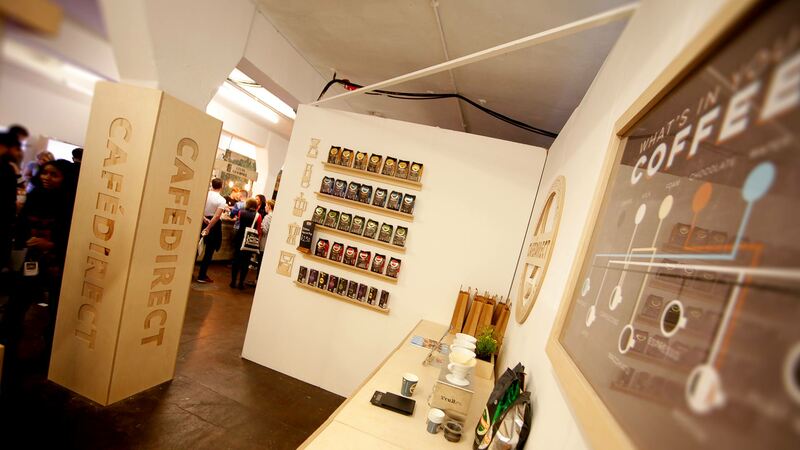 The task was to design and build a simple but effective trade stand that could be re-used at multiple events. 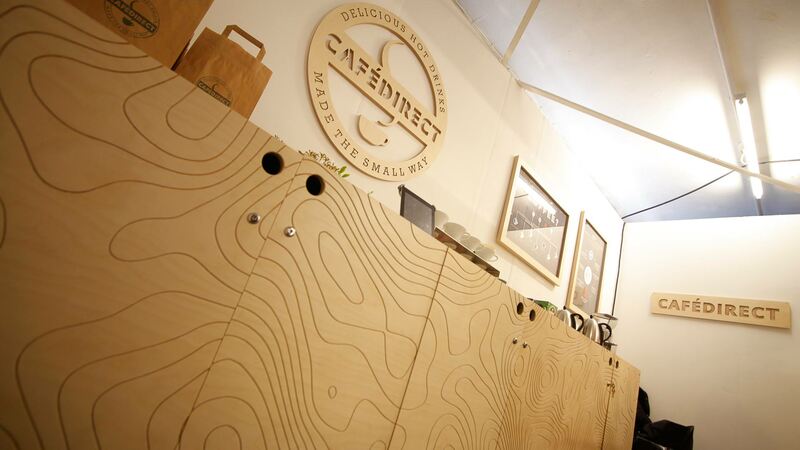 The result comprises a bespoke coffee kiosk together with detailed cabinets and shelving to display products. 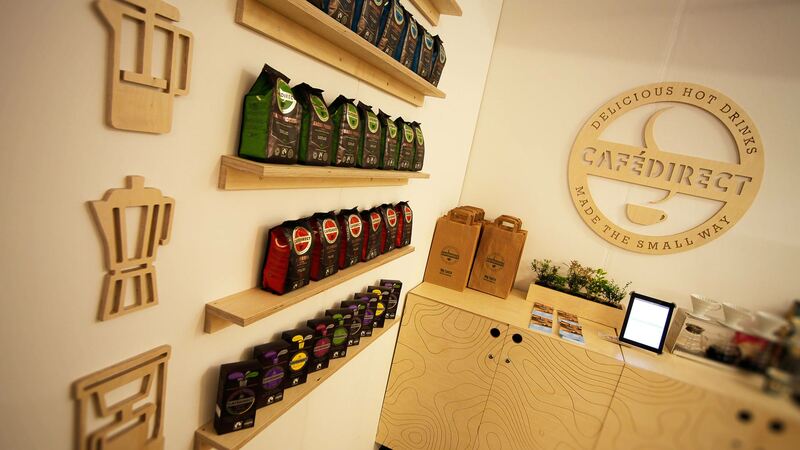 Everything was manufactured to a high-end finish at the Liqui workshop as part of our exhibition services. 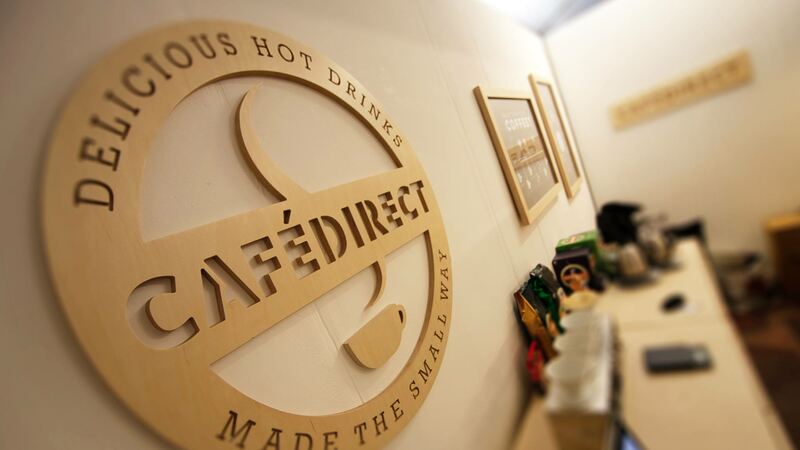 To tie in with the Cafedirect Hand Picked brand Liqui created intricate details and elements to compliment the brand image and the products being showcased. Birch Ply was the key material used for most of the elements within the stand. 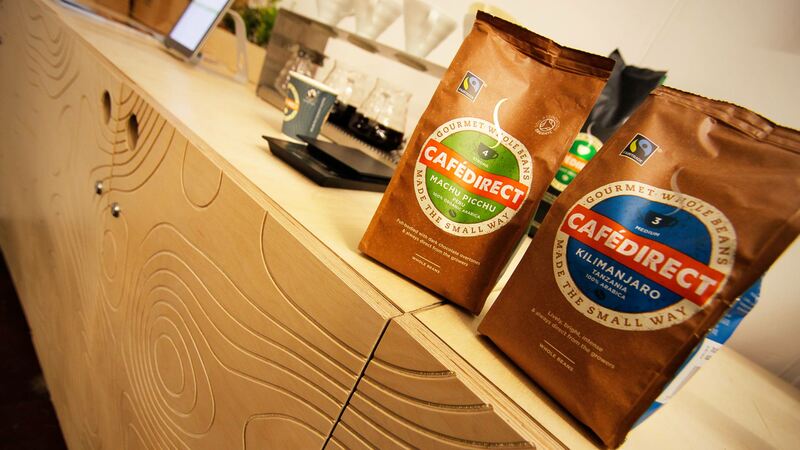 This material choice was made because of its fast growing sustainable credentials as well as its aesthetic impact. 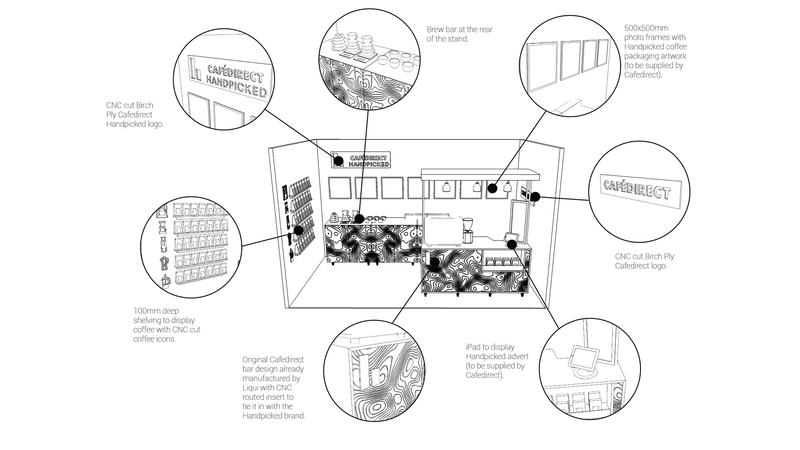 The Liqui workshop has always remained core to the practice and the material led culture of the design studio. However, the workshop has had an upgrade in the form of a state of the art CNC cutter. This additional bit of hardware has allowed the studio to design a trade stand that utilises this type of CAD manufacture. The studio was able to design intricate detailing in the wood panels and be able to take the design to manufacturing in-house in a cost effective and timely manner. 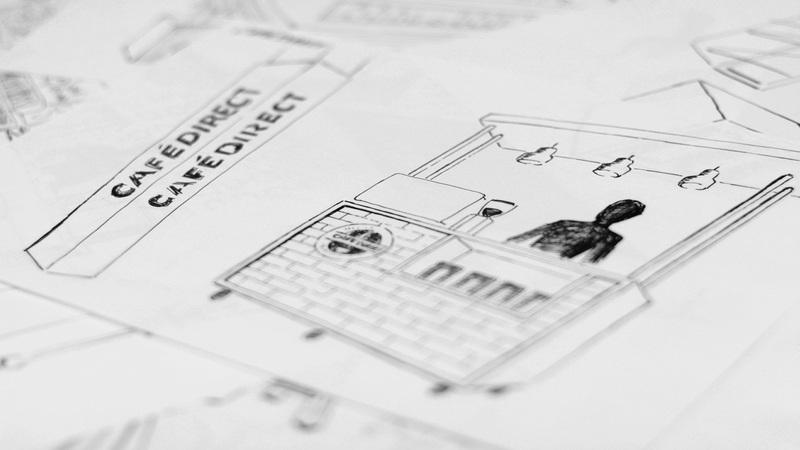 "Designed in detail to reflect the client's brand"